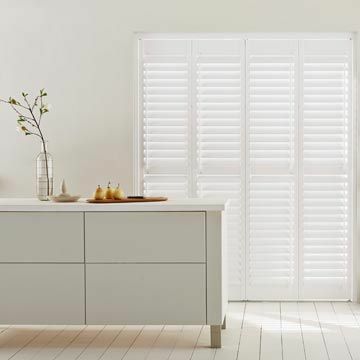 View Café-style shutters in Extra White from the Craftwood range. White shutters are the perfect way to give your home that wow factor. They provide an effortless, contemporary look at your windows and will complement all styles of décor - from minimalist interiors to country cottages. As interiors experts, we know that white doesn’t mean just white, which is why we have a wide variety of hues to choose from. Whether you’re looking for a bright white, or something a little creamier, we’ll have just the thing. 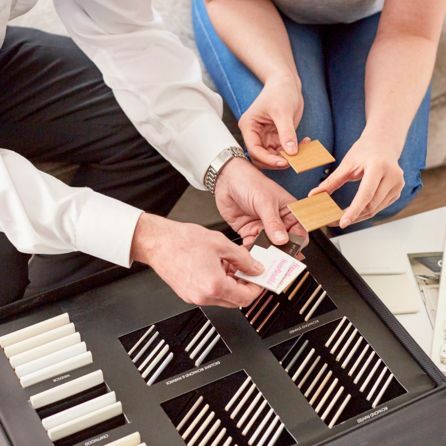 And as it’s Hillarys, you’ll also be able to choose what style, slat width and hinge colour you’d like for your made-to-measure white shutters too, so they’ll be completely personal to you. 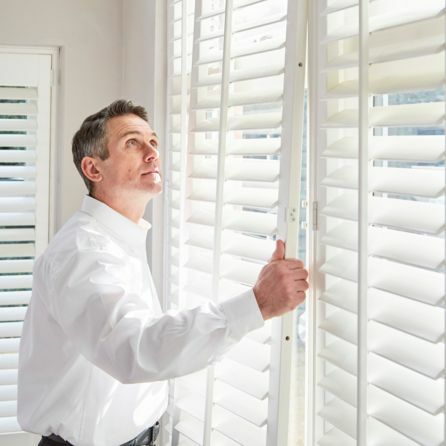 Make an appointment to browse our entire collection of shutters from the comfort of your home. Our experts will be on-hand to guide you through the range, measure up and provide a free quotation. And once you’ve decided, we’ll return to fit them too – it’s all part of the Hillarys service.